Centrally located in Myrina Village of Limnos, just 150 metres from Richa Nera Beach, Filoktitis features a bar-restaurant serving Greek and Mediterranean cuisine. It offers air-conditioned accommodation with free Wi-Fi and a private balcony. Overlooking the garden or the mountain, the simply decorated rooms of Filoktitis has a fridge and a flat-screen TV. Each unit includes a private bathroom with shower. 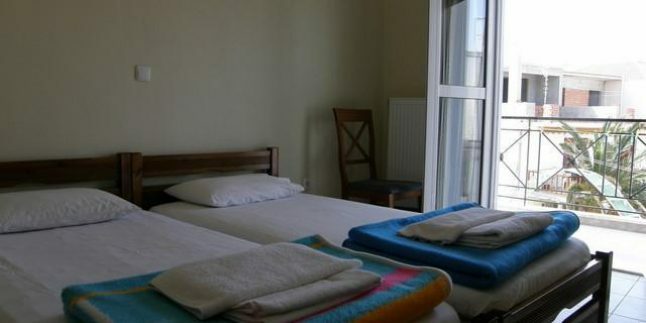 Filoktitis is situated 600 metres from Myrina Port and 16 km from Limnos International Airport. Plati Village with its famous beach is at 3 km, while the sandy Thanos Beach is 4 km away. Free private parking is possible on site.